Sen. Bernie Sanders talks with Benedict College students in Columbia. Sanders spent about a half hour answering questions during the event, called a Conversation with students. He said he believes public colleges and universities should be tuition-free. The Vermont senator and potential 2020 presidential candidate also spoke about what he believes need to happen to end the partial government shutdown. 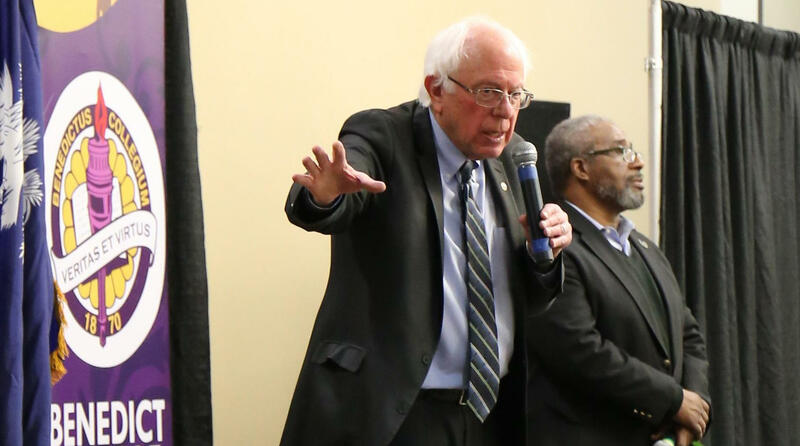 During a question-and-answer forum with Benedict College students on Columbia Tuesday, Sen. Bernie Sanders shared what he believes is needed to end the partial government shutdown. Before Sanders met with students, Senate leadership in Washington agreed to vote on “dueling proposals” to reopen the federal government, that’s according to The Hill. Senate Majority Leader Mitch McConnell (R-Ky.) set up two votes for Thursday afternoon. The first will be on the President’s proposal to reopen the government, provide $5.7 billion in boarder wall funding and extend legal protections to some immigrants for three years. If that vote fails, the Senate would then vote on a three-week continuing resolution (CR). This would provide funds for a quarter of the government through Feb. 8. Both proposals will require 60 votes to advance.